This American sycamore was the starting point for Colonel James Robertson’s 1785 survey of West Tennessee with Henry Rutherford and Edward Harris. Rutherford carved his initials “H.R.” in the tree, which sat on a high bluff overlooking the Forked Deer River, and called the site “Key Corner.” Henry Robertson eventually returned to Key Corner and settled there in 1819. In 1880 the community rallied to save the old tree, which had fallen into the river. The attempt failed even with eight oxen pulling on the tree. After sawing off the top, the body of the tree was made into a monument. 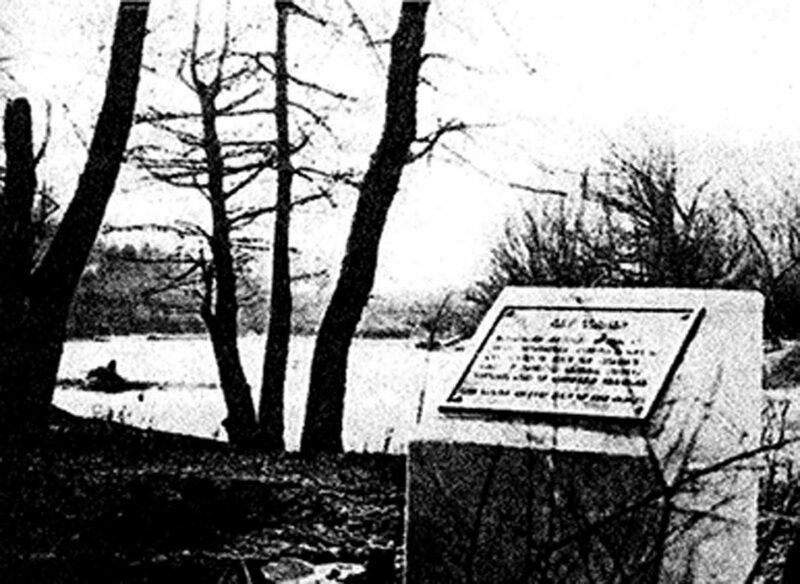 In 1930 the Lauderdale Quarterly County Court appropriated funds for a permanent marker near the site of the tree and a bronze and stone monument was erected. It is believed that the monument also fell into the river, for there is no evidence of it today.